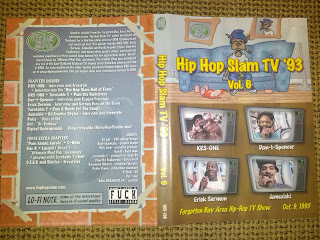 Short lived bay area television series Hip Hop Slam which broad casted on the Soulbeat TV network for 13 episodes in 1993. 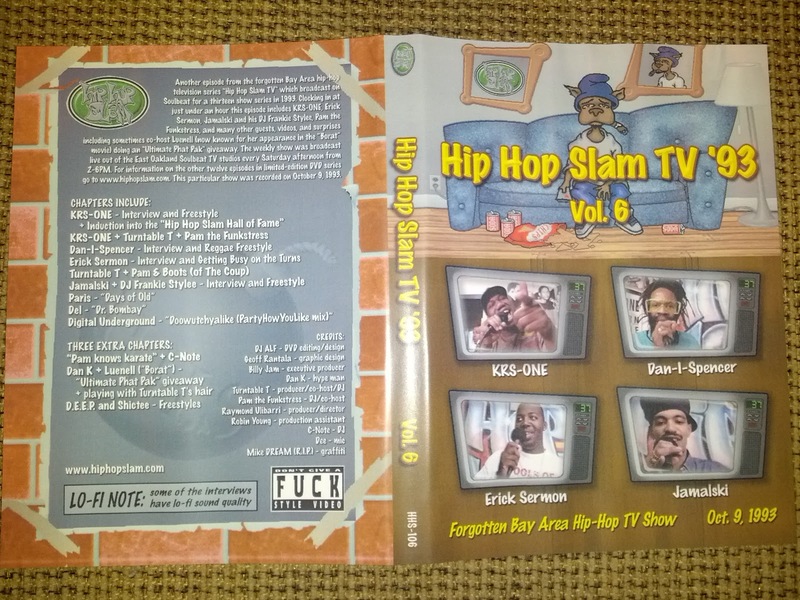 I've managed to get my hands on a few of these DVDs and will be posting them, I haven't been able to locate any shows earlier than Vol.6 so if anyone out there has them or any other old bay area TV show footage please let me know. As someone who isn't from the Bay Area, I first heard about this show in 2003 while visiting some friends in San Francisco. We were hanging out watching old VHS footage of Rap City, Home Turf, Distortion 2 Static and eventually we came across some clips from show. The footage is really raw, but at the same time that is what makes it so good. Everyone is having fun and doing what they want, not worrying to much about perfect production or anything like that. Guests in this episode are KRS-One, Dan-I-Spencer, Erick Sermon and Jamalski. There are videos from Del The Funky Homosapien, Paris, Digital Underground, and other random footage.